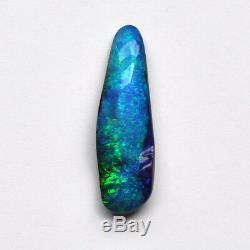 We do not sell doublets, triplets or synthetic and manufactured opals. 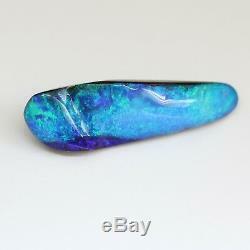 Natural solid boulder opal loose 31.60ct - YouTube. Video will open in a new window. 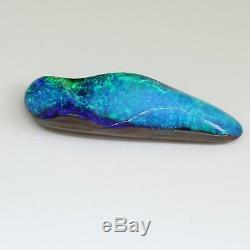 Natural solid boulder opal loose stone. 41.45mm x 12.80mm Thickness 6.18-8.3. 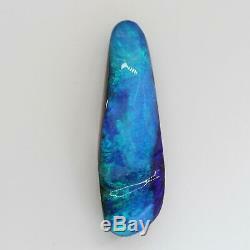 It's high quality beautiful blue colours stone. Last picture is back of the stone. Coin show in photo is Australian two-dollar coin. 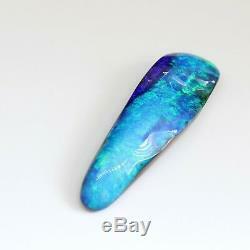 About opal colours photographs: The colours of an opal shown in photographs vary in different lighting and. The angle of the shots. 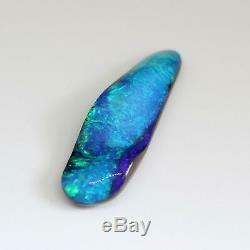 To best show the colours of the opals I sell, I take photos from different angles and. 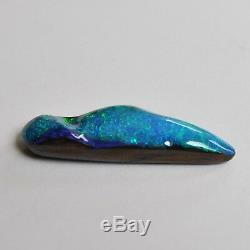 Different lighting conditions to give you the truest possible images of my opals. 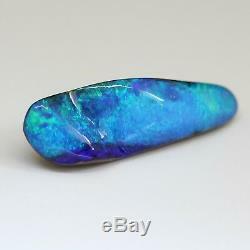 Please see above video of this opal. It was taken in a photo studio under LED lights. 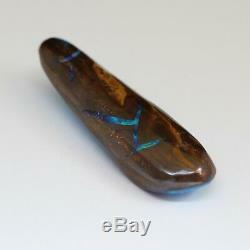 About Boulder Opal: Boulder opals which are mined only in central Queensland Australia, are fund in ironstone. When they are cut a layer of the original ironstone is retained which give the gem its unique colours. All items have Tracking - number will be provided. If you have any questions please feel free to contact our friendly team. My name is Shinko Masuda. I have made many friends with miners, cutters, and some of the best opal jewellers and designers in Australia. I love opal and feel it's serendipity has brought me lots of happiness. I started my company to bring. 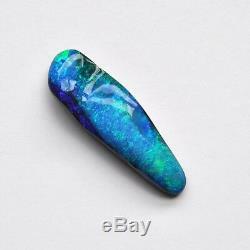 The beauty of Australian opal and opal jewellery to the world. I carefully choose each piece I present for the best quality and value. I hope you enjoy opal from Shinko. Thank you for visiting our shop! 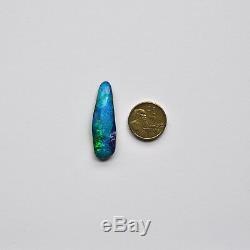 The item "41x12MM 31.60CT NATURAL SOLID AUSTRALIAN BOULDER OPAL LOOSE UNSET BLUE GREEN" is in sale since Monday, January 21, 2019. 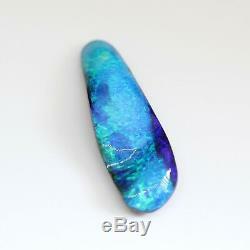 This item is in the category "Jewellery & Watches\Loose Diamonds & Gemstones\Loose Gemstones\Opal\Boulder Opals". The seller is "shinkosydney" and is located in Sydney. This item can be shipped worldwide.